It’s the 10th of the month which means another fabulous themed roundup from this talented bunch of bloggers! 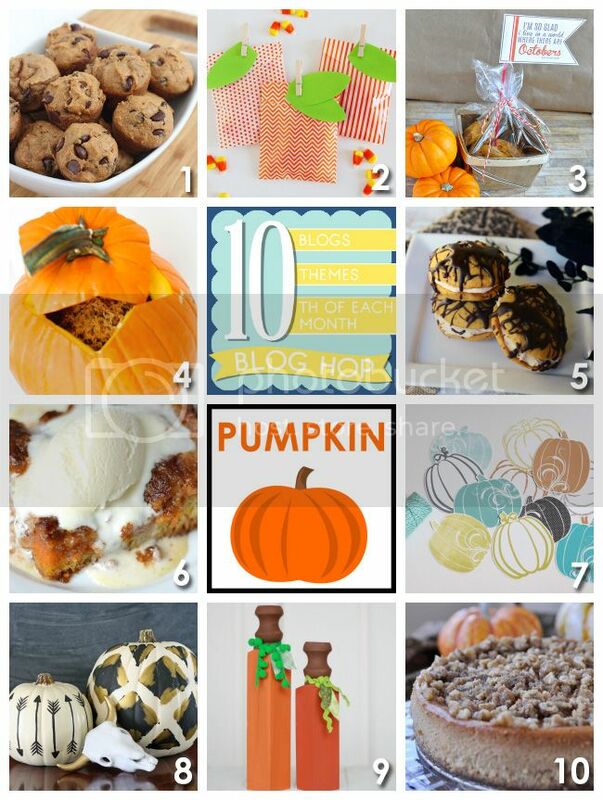 This month’s theme is pumpkin– recipes, crafts, and more. I love seeing how each blogger takes the theme and runs with it, and this month is no different. After you check out my Pumpkin Crumb Cake, be sure to check out what everyone else is sharing as well! Okay, so I’m totally admitting to you that pumpkin is usually not my favorite–pumpkin pie I just can’t do. But…this Pumpkin Crumb Cake is so yummy, that even if you’re not a pumpkin fan, if anything will change your mind, this will! If you already love pumpkin, then this is a must-try! My kids love it too, and it’s one of those yummy fall treats you’ll want to make many times! It’s already been added to our Thanksgiving menu–by popular request from everyone in our family. 1 package yellow cake mix reserve 1 c.
Mix together the crust ingredients and press in a greased 9x13 baking dish. Combine the filling ingredients, and pour over crust. It IS delicious! :) Thanks, Kristen! !